Presented by Neumann Monson Architects for Iowa Architecture Month. Hosted by Film Scene. Seating will be first-come, first-seated. In 1971, young people claim an 85 acre abandoned military base in the heart of Copenhagen and set up a community. Over the next 40 years, they build a self-governed community with the hope of becoming legitimate. Christiania was born in 1971 when youthful idealism and a severe housing shortage incited hundreds of young people to occupy 85 acres of deserted brick buildings, woods, ramparts and canals as their home. 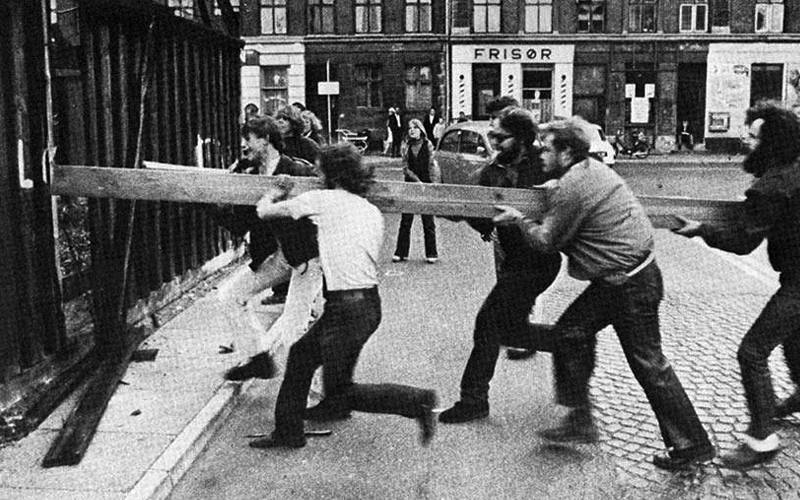 Finding it politically unpopular to evict the young settlers, the Danish government declared Christiania a “short-term social experiment”. Over forty years later, Christiania is still standing. Through interviews with longtime Christiania residents and police and government officials, CHRISTIANIA explores consensus democracy, alternative building methods, drug policy and Scandinavian culture in a provocative and often humorous character study of this fascinating community.